It’s no secret that the Heroes of the Storm Global Championship format for 2016 has been a mess. 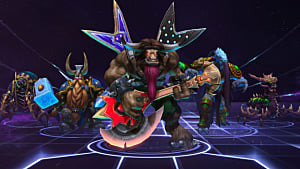 From production disasters to scheduling conflicts, the format has caused problems for players, production, and fans alike. 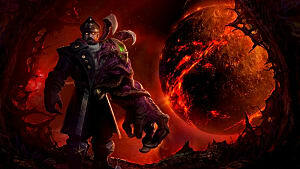 But soon those troubles could be over, as Blizzard has announced a new format for the HotS League. This format promises to change the lack of consistent play along with helping teams stay financially stable and provide a better experience for everyone. First, let’s look at why it’s been such a disaster before we see how Blizzard plans on changing 2017. Consistency has been the root of all problems. Last minute scheduling caused regional qualifiers to be done barely weeks before the actual LAN. Then there's the lack of one ‘main event’ to crown an international champion, but rather three spread across the year. 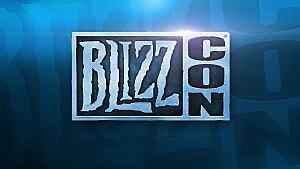 Even though everyone considers BlizzCon THE world championship, Blizzard formatted to have a world champion crowned every 4 months. Consistency in production was one fiasco after another, which isn’t really a new revelation in eSports broadcasts in the first place. Constant technical difficulties plagued just about every season global championship, along with the Spring North American Regionals not even having an audience. The lack of English coverage for non-English regions, no matter the size, was severely disappointing as well. We were promised English streams of the Latin American region, which never happened. Ever since Babael retired from casting there has been no coverage of Southeast Asia. The same happened with Gillyweed and Zoia no longer having time to cast the Chinese scene. The original posted schedules for a lot of regions didn’t even match when the actual tournament was being played, making it even more difficult to follow. Not only was this detrimental for viewers, but professional players had a difficult time keeping up with their potential global opponents. We saw casters saying things like “well we really don’t know much about this team” multiple times during BlizzCon 2016. 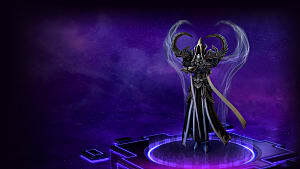 Then Please Buff Arthas comes from Taiwan and surprises everyone by advancing to the top eight. Would it have been so surprising if we’ve seen their history in the past year? Probably not. Difficulties trickled down to professional teams as well. 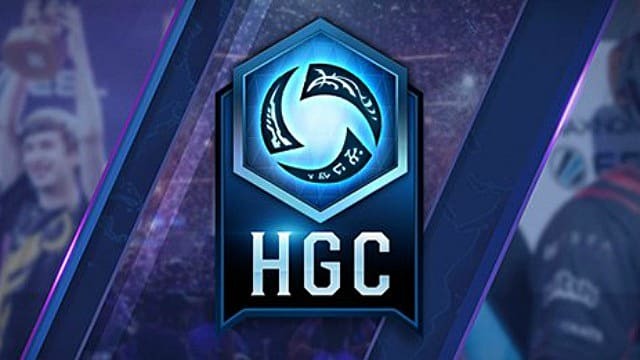 There weren’t enough tournaments outside of HGC to earn money, and all third parties that attempted to schedule got screwed as soon as the last minute HGC schedules were released. It was an organizational nightmare. Most players threw teams together at the last minute in attempts to qualify and make some cash. If they didn’t make it they disbanded, no big deal. If they did, great. Cash in the pocket. But, again, this leads to a huge lack of consistency and structure. The roster shuffles in 2016, particularly in Europe and North America, made your head spin. Let’s be realistic, you can’t just stick five really good players in the same room and just magically expect them to get along. The only roster lock in place was that if a team qualifies for a Regional, they can only replace one player up to X number of weeks before the event. And even THAT rule was bent throughout the year. The hype of Heroes eSports quickly died and the viewer count proved that. By the end of summer competition I was all but convinced this would be the end of Heroes of the Storm eSports, although it was in its third (technical) year of global competition. Fear not, though. Change is on the horizon. The announcement of the new Global Championship format brings so much promise for the state of Heroes eSports. 2017 will focus on the larger regions with uniform leagues for China, North America, Europe, and Korea. Teams will be guaranteed regular competition and compensation within these leagues. On top of in-league games, there will be promotion and relegation tournaments twice a year, giving amateur teams a chance at glory, and putting pressure on the two lowest pro teams. The guaranteed competition on Friday, Saturday, and Sunday will provide meaningful matches that will decide the league standings. No more watching a weekend of qualifiers, then waiting two months to see your favorite team play. We’ll also see direct and instant utilization of the meta when patches are released. And while roster shuffles are imminent, consistent play will give teams much more practice along with testing out potential new members. The complete schedule for HGC 2017 is practically already set. The months have already been laid out and by January, a full detailed schedule will be released. Now it will be so much easier for community tournament organizers to schedule events that don't overlap with HGC on their own. Compensation is the next big change. 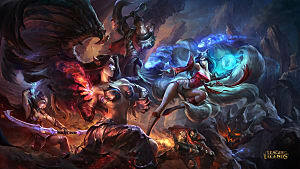 $100,000 per team will be guaranteed for the top eight teams in each of the four major regions. With The Crucible every six months, if a team is relegated from the top eight at that point they will only receive $50,000, and the new team will take the remaining $50,000. All #HGC Pro League teams competing from January to November will earn AT LEAST$100,000. Let's go!!!! While this only equates to $20,000 per player, roughly minimum wage, it’s a huge step in the right direction. Players no longer have to rely solely on tournament winnings for finances, especially if they are on an un-sponsored team. They now have a tangible opportunity to become stable professional eSports players which has been a merry-go-round since the creation of Heroes eSports. The guaranteed compensation and competition along with a set schedule will provide encouragement for players to stay together as a team and encourage talented players to consider going pro. The promotion and relegation system will fuel the amateur scene as well, putting their ‘play’ where their mouth is, and giving them the chance to build up to the pro division. 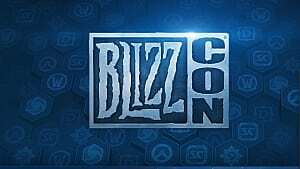 Unfortunately there aren’t any further details yet on smaller regions, although Blizzard assures they will have their own events to feed into global competition throughout the year. This could harm them the most. While they will face off in the West and East Clashes, they most likely won’t have as much representation in the Mid-Season Brawl or HGC Finals. 2016 was just a jumbled rework of the 2015 format, and while the new 2017 format looks refreshing, it could still cause many issues. The compensation could mean that teams won’t be looking for organization sponsorship. Conversely, organizations might think they no longer need to pay their players at all if they are technically receiving compensation from Blizzard. So we may see more independent teams and less (than we already have) sponsored teams. With such a focus on the four largest regions, this could be bad for smaller, lesser known regions. Although they’ve also been promised events that would feed into the global scale, it’s less likely we’ll see more coverage that we did in 2016. Despite some potential flaws, this is overall a huge step in the right direction for Heroes of the Storm eSports. 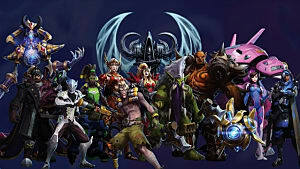 The format solves practically all of the major issues from 2016, and as long as Blizzard can follow through, this can definitely solidify Heroes of the Storm as a long-term stable eSport.